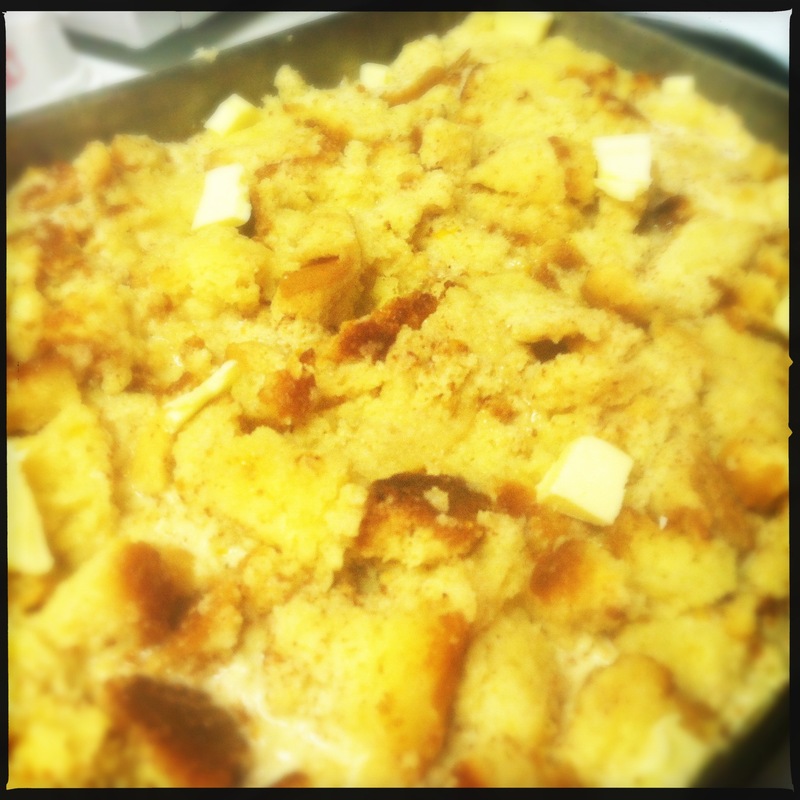 Sunday Supper Bread Pudding – Butter, Baking, and Bacon! Ready to be sliced and eaten! 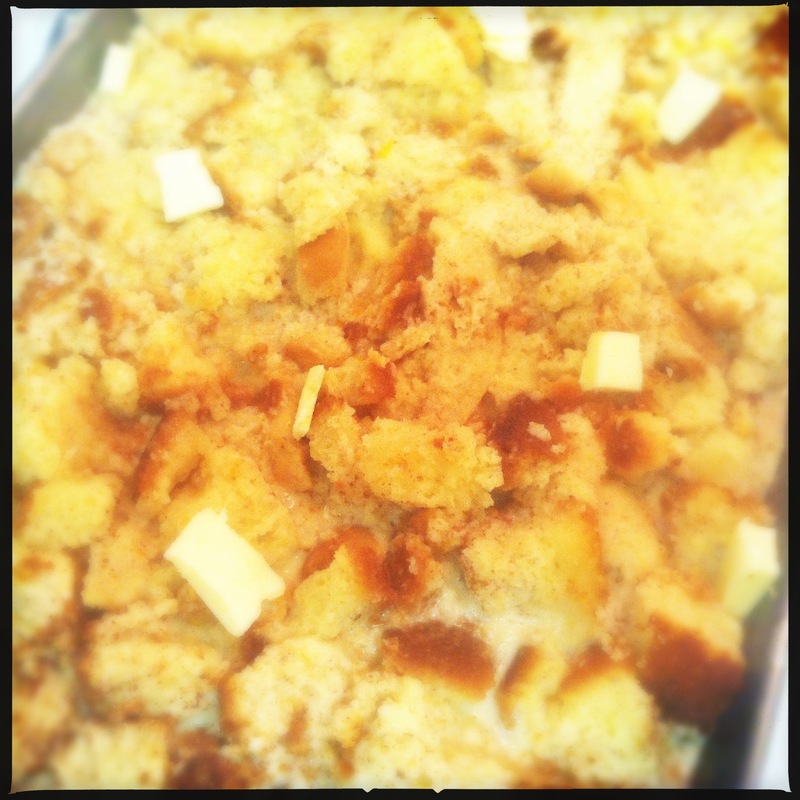 Every 4th Sunday, our congregation has a potluck supper after morning worship service. 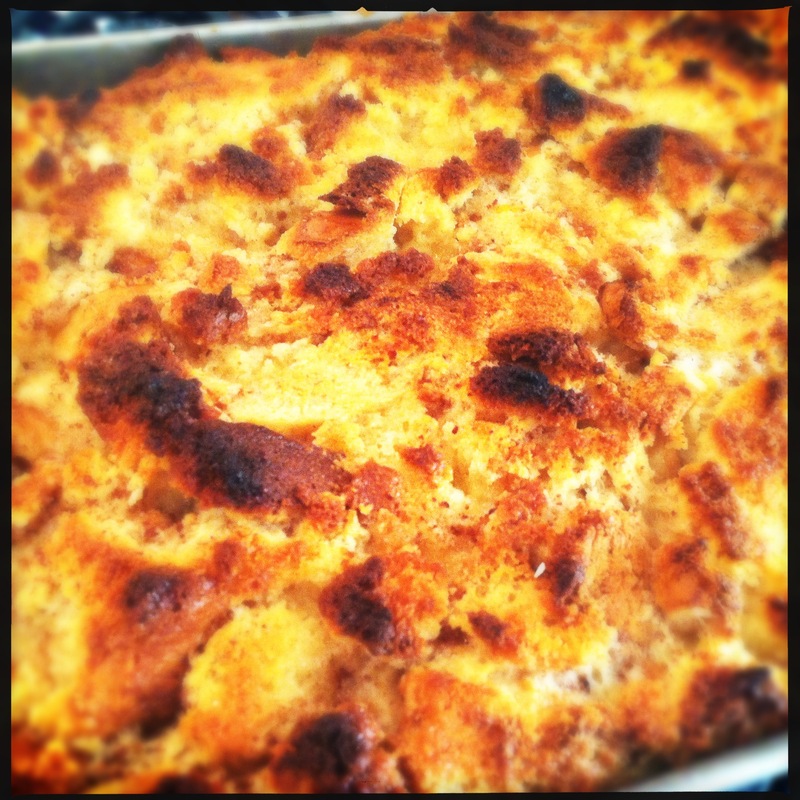 Sunday suppers always call for warm, soul comforting food in my opinion. 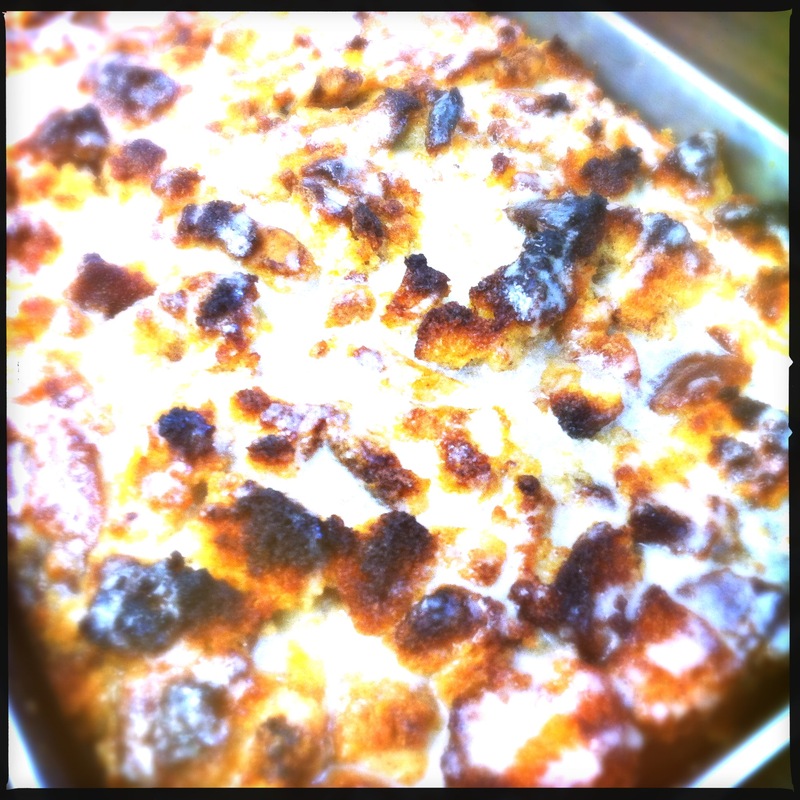 What can be more warm and comforting after a good meal than a warm bread pudding, complete with a mouthwatering sauce trickling down the sides of each slice? 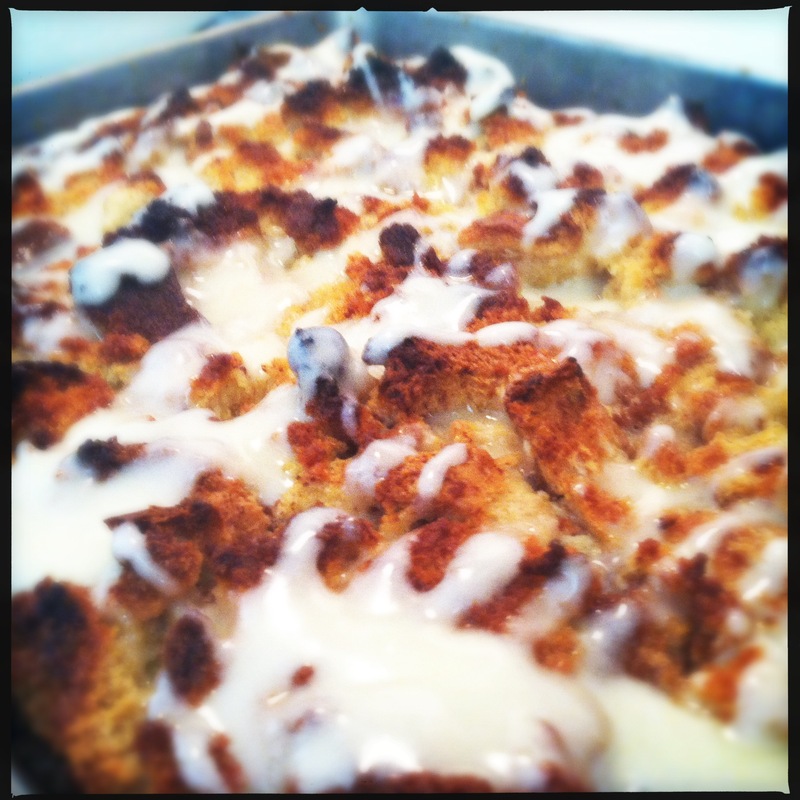 Today, that was the dessert from The Domestic Diva’s kitchen! It was met with gasps and even hugs of thanks. The young adult men were even pushed to swiping the pan from the buffet table and hiding it away! I must be honest. I don’t measure conventionally when making many of my desserts. I measure by look and feel. It’s easier that for me because I know how it should look and feel when it’s just RIGHT. But I can give you the basics! Preheat oven to 350 degrees. Cube bread and arrange in buttered baking dish. Melt the butter and mix with all other ingredients. Pour mixture over cubed bread ensuring that each cube has received some liquid! Bake for 40 to 50 minutes or until a knife inserted in the center comes out clean. Whip butter until light and gradually add the sugar until the mixture is fluffy. Next, add extracts and beat several more minutes. Slowly add heavy cream or milk until desired consistency is reached. Serve over warm pudding.